Tired of the day-to-day options available at Frank? If you’re a foodie by any means, you’ve probably heard of America’s newly found obsession with avocado toast. If you were in NYC last summer, chances are that you’ve eaten this undeniably delicious snack for breakfast, lunch, and dinner. The trend died down a few days into September, but there’s no better time to revive it than your next Frank lunch. Simply smash your avocado, spread it on a piece of bread and season with salt and pepper. Voila! Your belly will be thanking you. Feeling fancy? 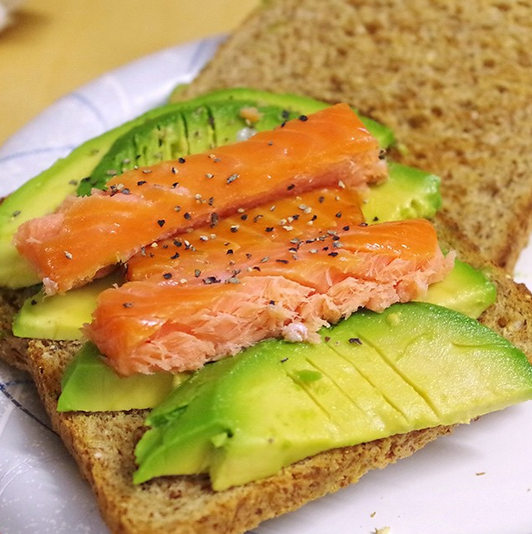 Add a few pieces of salmon and squeeze some sriracha on it too! 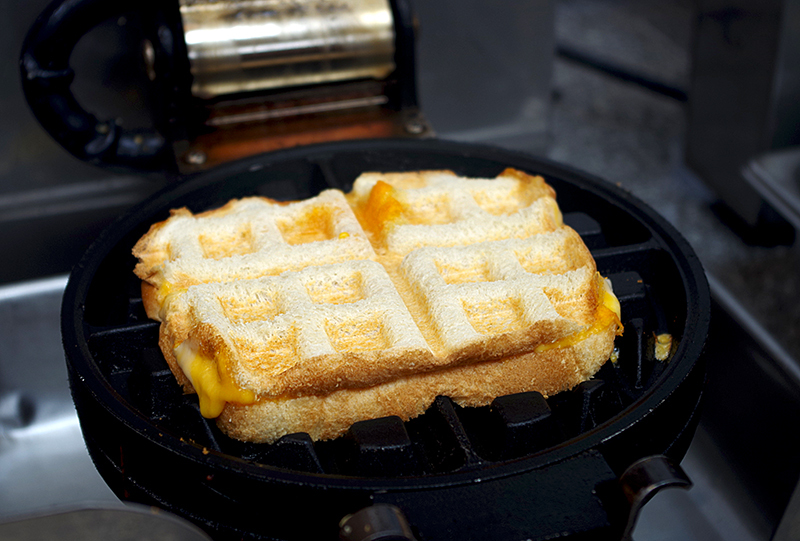 If you’ve never tried waffling your grilled cheese, there’s still time before I start giving you my judgmental look. “Waffling” the otherwise “grilled” cheese produces a more toasty crust, fashionable criss-cross pattern and rids you of all the extra grease. 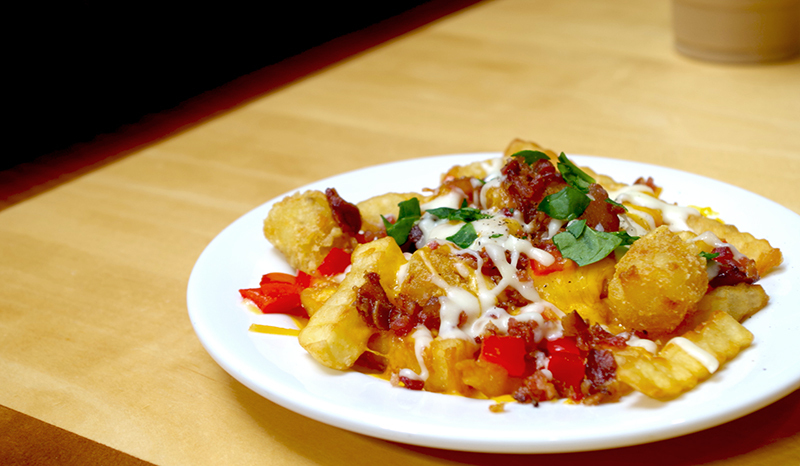 We all love Donovan Pub’s cheesy loaded fries, but not everyone’s got the time to walk all the way down and up again. Make your own loaded fries right in Frank by topping your average fries with some shredded cheddar and bacon bits from the Salad Bar. Finish it up in the microwave for 2-3 minutes and decorate with some other funky ingredients. Pickled peppers is a surprisingly good addition! 5. PBB stands for Peanut Butter and Banana! Fine, I was pretty ignorant of this twist on a breakfast classic until a few months ago, but I boarded the train and never looked back. 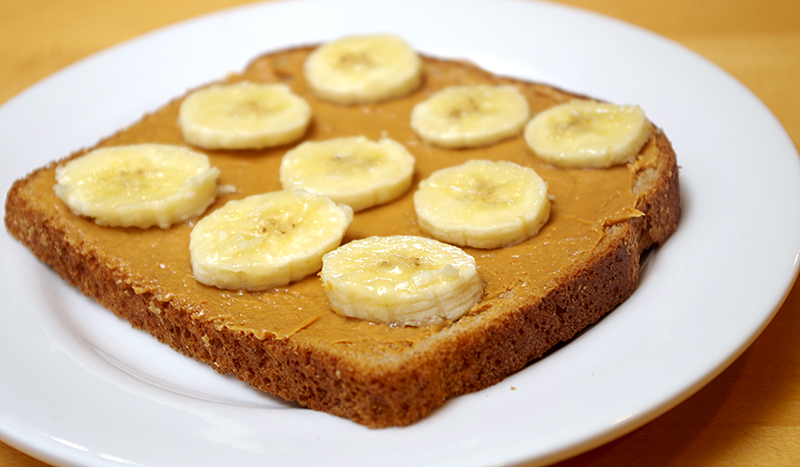 If you love a PB&J sandwich, you’ll adore the PBB (Peanut butter and banana) toast. C’mon guys, this needs to be seen more at Frank. Simply fill up the bottom of your cup with a dense juice concentrate or syrup (try strong-colored options like the grape/cranberry juice from the juice dispenser), top it off with a good cup of ice and fill the entire cup with your favorite colorless soda. Add a scoop (or two!) of ice cream on top and you’re pretty much all ready to go!